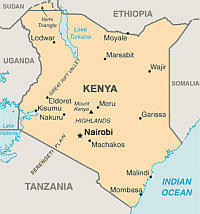 An additional update on the Kenya situation before the ICC is in order, given some developments earlier this summer. 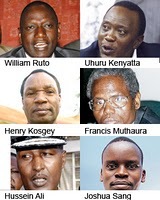 (See Jaya Ramji-Nogales's prior post on Kenyan preferences vis-a-vis the ICC here). The Court may, upon request, cooperate with and provide assistance to a State Party conducting an investigation into or trial in respect of conduct which constitutes a crime within the jurisdiction of the Court or which constitutes a serious crime under the national law of the requesting State. use the materials requested expeditiously to advance its national investigations into all allegations of Post-Election Violence, including those in respect of the six suspects who are presently before the ICC. Incidentally, during this exchange, the defendants filed various views in the matter. The PTC ruled that the defendants lacked procedural standing with respect to these proceedings; accordingly, their filings, and the Prosecutor’s response thereto, were disregarded. no concrete steps showing ongoing investigations against the three suspects in the present case. It rejected the government’s contention that it was enough that the government was investigating “persons at the same level in the hierarchy” of the defendants before the Court, even if this were in fact the case. Rather, the PTC ruled, it must be shown that the national authorities were investigating the same persons for the same conduct that were under investigation before the ICC. In advancing this hierarchy argument, the PTC wrote, the government erred in its briefs by drawing on the admissibility standard relevant at the time of determining whether to allow the opening of an investigation into a situation, which happens earlier than the current proceedings which involve a particular case. The PTC confirmed that the test of admissibility is more specific when one or more suspects have been identified. In sum, the PTC found that the Government’s submission mainly considered judicial reform actions and promises for future investigative activities—activities that, while welcome, were insufficient to render the cases inadmissible at this time. Given that admissibility must be determined "on the basis of the facts as they exist at the time of the proceedings concerning the admissibility challenge", the challenge must fail. On June 29, the PTC ruled on the cooperation request. As a matter of statutory construction, it determined that it could not order the Prosecutor to provide any evidence in his possession. It could only provide materials already in the Chamber's possession, as where the material has been submitted to it by the Prosecutor through the process of disclosure. In addition, the PTC ruled that the requesting State Party must be able to show that it is conducting an investigation into conduct that constitutes “a crime within the jurisdiction of the Court or a serious crime under the national law of the requesting State” as provided by Rule 93(10). Not surprisingly given the prior admissibility ruling, the PTC concluded that the government's cooperation request was unsubstantiated and was thus denied. These decisions are under appeal. The admissibility discussion raises an interesting doctrinal point about what level of conc urrence must exist between the substance and reach of domestic proceedings as compared to proceedings contemplated before the ICC. The PTC is operating under the same person/same conduct test that has never been expressly ratified by the Appeals Chamber (although the Chamber has had occasion to reject this test as well and it has not done so). For our readers interested in the Kenya case in particular, I can highly recommend this blog, which is dedicated to the Kenya cases. The blog is the work of our colleague James Gathii (right), who is the Associate Dean for Research and Scholarship and the Governor George E. Pataki Professor of International Commercial Law at Albany Law School.